Beautiful is an understatement when describing how good Tai looked in her wedding gown. She sparkled from head to toe! Literally! Tai wore glimmering gold Jimmy Choo heels to complete her look. 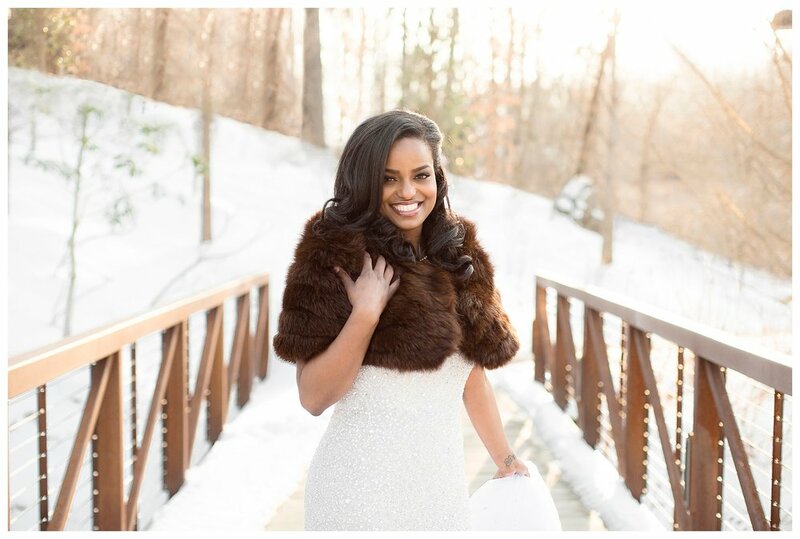 Also, for a warm wintry feel, she accessorized with a fur shawl borrowed from Amanda of Bates~Reed Brides. It was a stroke of luck that it snowed the day before her bridal portraits and warmed up the next day just enough to be able to photograph Tai in the superb winter surroundings. Tai's bridal portraits were taken outside around Crystal Bridges Museum. 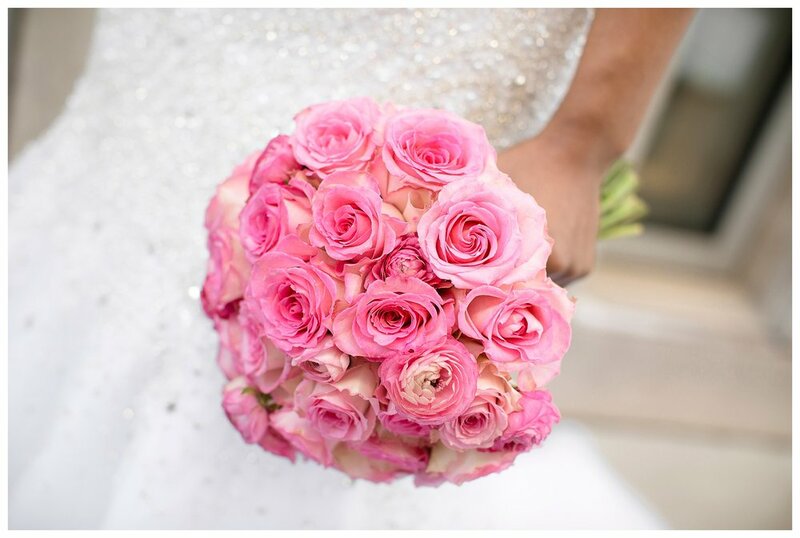 To add a touch of color from her wedding day details Tai carried a bouquet of pink roses made by Jules Design.